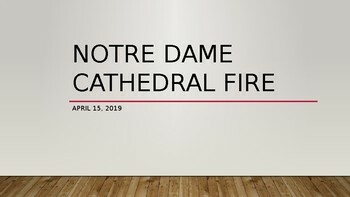 Guide your students through the April 15, 2019 Notre Dame Cathedral FIRE with this power point that shows that glory of the church prior to the accident. 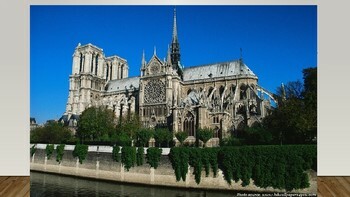 Then the beginning of the 11 million euro renovation efforts prior to the Mon. 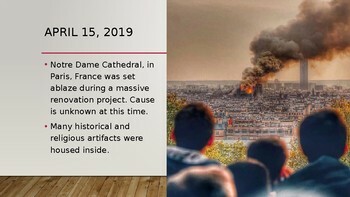 4/19 fire that brought down so much history. 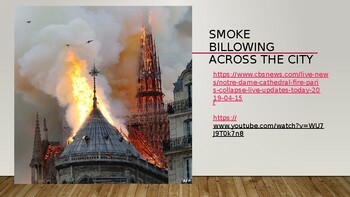 Pictures and video link embedded. Power point also shows what was saved and what is still unknown.